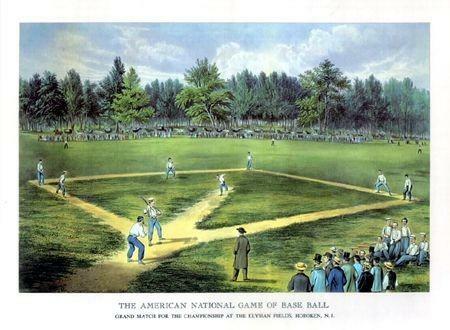 Baseball is over 170 years old, invented in 1845; even though Star Trek's Ensign Chekhov insisted that the Russians invented it and the Spalding sports company insisted that Albert Doubleday invented it in 1839 - a story itself invented in 1907. The sport of baseball enjoyed all-female teams during World War II, when the men went off to fight with the Allies against Nazis and Pearl Harbor enemies. Those teams played hardball, not softball, not even fast pitch softball. It was baseball and women played it well..
We even have a National Women's Baseball Team. All that having gone before, why then did it take 170 years to find a woman major leagues baseball coach? In 1846, the New York Knickerbockers ball club played America's first official game of baseball. Since they were the only baseball team in existence, they played against a team of cricket players (reference: The History Channel). America's first National Baseball League team was recognized in 1858. As of 2015, American Major League Baseball had no female general managers and no umpires or coaches, other than occasionally during spring training and similar circumstances. I first heard of the English children's game of rounders in a Sherlock Holmes pastiche story about the Great Detective's adventures in America. In the tale, Holmes visited a "Base Ball" game attended by Mark Twain, one so crowded that young boys were most successful at pickpocketing from underneath the jam-packed bleachers. They even nabbed Twain's silk umbrella. Meanwhile, Holmes complained that the ticket prices were too expensive for watching a child's game of rounders. (References: My Silk Umbrella, by Darryl Brock). Games that look a bit like baseball date back to 18th century America and the Revolutionary War. Two English games, rounders and cricket, are the most well known of these. By 1776, variations of such games were played in schoolyards and on college campuses across the colonies. They became even more popular during the Industrial Revolution when men went to work in factories during the mid-19th century and looked for recreation after work. In September 1845, a group of New York City men founded the New York Knickerbocker Baseball Club. A volunteer firefighter and bank clerk named Alexander Cartwright, wrote and compiled a set of baseball rules. This was the beginning of the the playing diamond, the foul lines, and the three-strike rule. He was smart as well, abolishing the dangerous activity of tagging runners by throwing hard baseballs at them. He saved lives with that change. The change to allow women into the modern major leagues took longer to achieve. For everyone who has been told to quit their dream for being a girl or some other seriously lame reason. Ignore them. Dreams can come true. America's male pro baseball system hired no women coaches that we can find prior to 2009. The woman hired in that year was the same Justine Siegal, employed to coach first base for the minor league Brockton Rox. They play at Campanelli Stadium at the Shaw's Center. The Rox were a member of the Canadian-American Association until 2012, when they joined the Futures Collegiate Baseball League (FCBL) for 2013. Since then, they have played each new season from June through mid-August, gaining popularity under the ownership of Chris English, former Hedge Fund manager. A few women have held responsible positions in MLB front offices, but Siegal's two-week coaching stint is speculated to result in subsequent long term coaching within the major league. At age 40 in 2015, she has a couple of decades to contribute to that work. Her baseball card is already worth a lot of money, and rising. This espnW Everyday Hero is the Director of Sport Partnerships for Sport in Society at Northeastern University, but has a distinguished list of other qualifications, listed below. 1) PhD : Sport & Exercise Psychology, Springfield College. 2) Founded organization "Baseball for All." 3) Minor-league coach for the 2009 Brockton Rox. In 2011, became the first woman to throw batting practice in the Majors: Cleveland Indians, Oakland A's; the Astros, Cardinals, Mets, and Rays. 4) Successful completion of Major League Scouting Bureau Development Program. 5) Chairperson of the Women’s Commission for the IBAF. 6) Board of Directors, World Baseball-Softball Confederation. 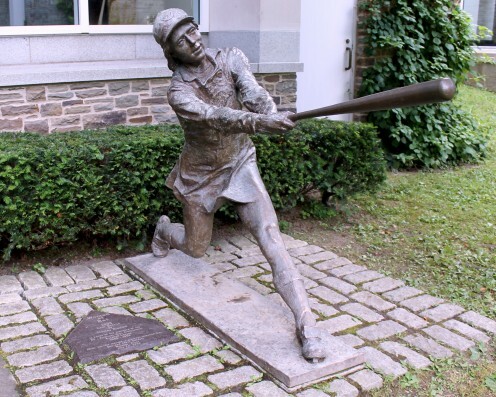 Dr. Kat Williams, Professor of Women’s Sport History and former shortstop. Shirley "Hustle" Burkovich, former infielder, outfielder, and pitcher 1949 -1951 for the All-American Girls Professional Baseball League. Perry Barber, Jeopardy Champion in 1972, author, and musician who became an umpire for college baseball, Little League, and spring training in the Major League. Her twin sister also became an umpire. “Mae” Blair, former pitcher in 1948 for the All American Girls Professional Baseball League. Also played in the National Women’s Softball League in Chicago in the early 1950s. First woman Manager of Transportation of Northrup Aircraft (company is now in the NASA Commercial Crew). Cami J. Kidder, filmmaker currently working on Throw Like A Girl. From October 4 through October 17, 2015, Justine Siegal became an Instructional Coach for the Oakland A's. 1) Training infielders (three base guards and the shortstop between second and third base). "Pepper" is a common exercise drill. One person hits brisk grounders and line drives to a fielders standing about twenty feet away. They catch and toss back the baseballs. 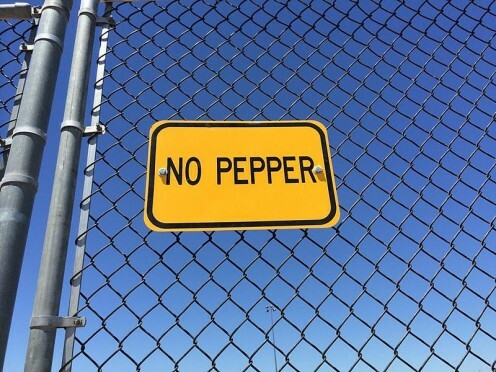 In this way, they train to catch grounders as well as fly balls. 2) Hitting fungos for fielding practice by the players. A fungo is a hit to a fielder by a coach using a "fungo bat." This type of bat is longer and smaller in diameter than a standard baseball bat. The coach tosses a ball up in the air for himself/herself and hits it. 3) Pitching for players at batting practice. Siegal will pitch balls, because a ball pitching machine is not always used. On June 29, 2010 Gerald L. Phelan, Jr. of St. Louis MO received US Patent Number 7,744,497 for baseball equipment - namely, an ergonomic baseball bat. A related ball patented by Fu-Chuan Huang and Chin-Chen Hoon on May 8, 2012 under number US20120058844 A1 (Reference: US Patent Office). An early baseball was patented by John E. Maynard on May 8, 1928 and received the number US1668969 A. Many patents exist for related bats, specialized practice balls, and other equipment. Watch the career of Justine Siegal and those of the girls and women supported by Baseball For All and the recruiters of the USA National Women's Baseball Team. America has some very accomplished talent in baseball and some of it is female. Besides American all-time home run hitters, there are baseball stars around the world. Here are the top 7 home run hitters in Japanese baseball history, with there career home run scores. It's too bad that baseball is no longer an Olympic Sport. Every year on April 15, all Major League Baseball players wear the number 42, the only number to be retired from baseball. It will always be Jackie's number and this film tells us why. Hi drbj! - I hope to have more good news about this very soon. Justine will be sharing her dreams coming true and how the dreams of the girls she mentors - including her own teenage daughter - progress in the world. We have such exciting times on Earth as well as in space, these days. Hi, Patty - Cheers to Justine Siegal for finally achieving her dream. And Brava! to you for telling us all about it in such an entertaining fashion. Hi Kristen and thanks for visiting here! -- I think Justine Siegal has a lot of talent and good experience, so I hope she earns a permanent placement with the A's or another forward looking organization who might snap her up quickly. I think she has a lot to contribute. Patty, kudos to you! This is a great hub about Justine Siegal--more power to her--breaking the mold in baseball. Mckbirdbks! - Know any good baseball stories? I would read any that you wrote in future. The baseball patent turned out to be a long story, so I adjusted the text to reflect that. Wondering about St. Louis profits spurred me to find it. Thanks! I like these success stories after a hard run. There are many of them that we will never hear about! @Karen H. - Hello and thanks for reading this article and making a comment. The media news seems full of the same limited information about Siegal, but very few have anything near to her list of qualifications and work experience listed. There was quite a trail to follow and I have yet to find her baseball card - but I will find it, all the same. Hello Patty. This is a nice piece of baseball history. Women are making (slow) progress on many fronts. I found it interesting that someone in the U.S. patent office would issue a patent for a baseball. Now the City of St. Louis needs a good attorney and they are set for revenue on every ball sold or used. I love stories of women excelling. "Men will listen when you know what you're doing, when you show that you care." Quote may not be accurate, but the message comes through. Thanks for the interesting and historical information on baseball and Justine Seigal. Wow, you really went into detail here about baseball. Very interesting information. Thanks for all your hard work in sharing this with us!